Linda Polk was an average, middle class professional with a Master’s degree in education. After navigating through her own self growth and healing, Linda pursued a second Master’s degree in social work. Assigned to work in a state prison for her practicum, Linda crossed the thin veil that separates the “free world” from those of the incarcerated. Amidst suffering and dysfunctional relationships, Linda also saw hope and resilience in both prisoners and staff members. Then she learned first-hand about felonism and the hate it can spew forth. Linda’s college instructors were fed false rumors about her. Threats to kick her out of her graduate program were given, and threats were made to the prisoner she had asked to visit. Experiencing the onslaught of felonism made Linda resolute in finding ways to divert the focus of our “justice” system from hate, anger, and shame into love and healing. This was the genesis of Felonism: Hating in Plain Sight. 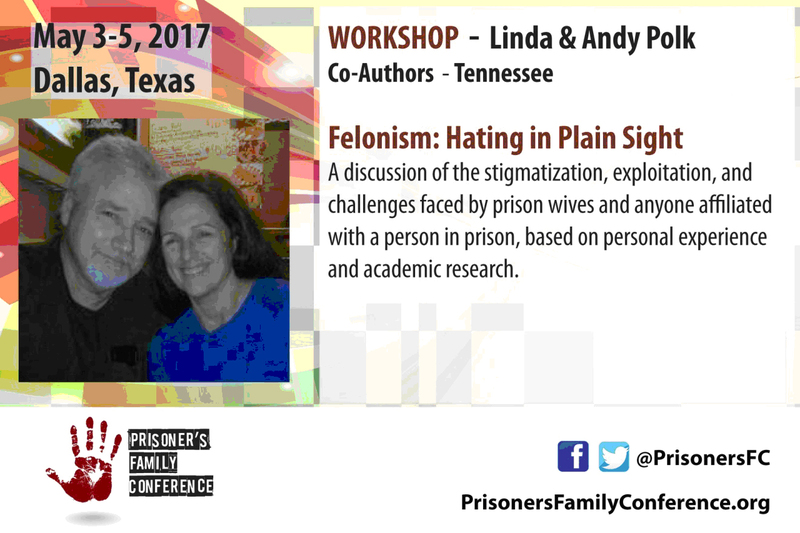 She and Andy invite you to identify the ways felonism has impacted your life, family, and community, and then practice the solutions they offer to transform all jails and prisons into healing centers. To say Andy grew up on the other side of the tracks is an understatement. Four generations of his family, including himself, have been incarcerated. Between life on the streets as a young gang member and 27 years in prison, he earned a doctorate degree from the School of Hard Knocks. Even though he experienced felonism in elementary school when his teacher predicted he would follow his father’s footsteps into prison, Andy didn’t fully comprehend its massive influence over our culture until he and his wife, Linda, coined the term to identify this institutionalized prejudice. Andy speaks with wisdom, empathy, compassion and humor to shine a light on the darkness of felonism’s destructive forces and arms us with loving ways to protect ourselves and our nation. TO BOOK LINDA AND ANDY TO SPEAK AT YOUR EVENT OR ON YOUR SHOW PLEASE CONTACT THEM THROUGH THIS WEBSITE.